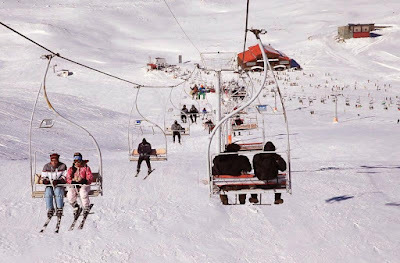 Uppersia Iran Travel blog: 3 exciting activities that can be done in Tochal complex. 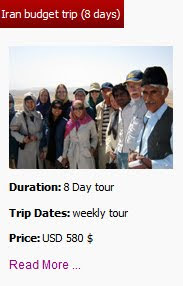 3 exciting activities that can be done in Tochal complex. Tochal complex, located in the north of Tehran is one of the best hangouts of the city for skiing, hiking, snow fight and having fun during winter. 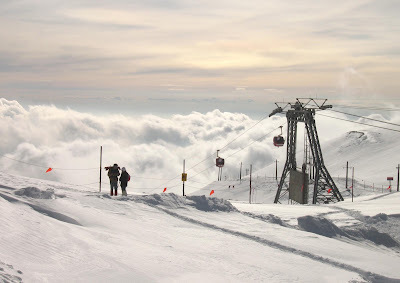 This recreation complex is located on the top Tochal Mount in the north of Tehran. Three 1200, 900 and 5500 meter ski resorts with chairlifts and half pipes are constructed on the peak and the foothills of this mountain for skiers and snowboarders. The wild mountainous landscapes and the fresh air doubles the pleasure and excitement of sliding on the powdery snow! Chairlifts in Tochal Ski resort. 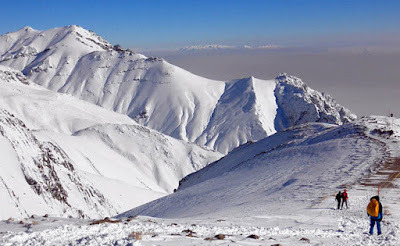 Tochal peak is 3962 meters high and is one the most important peaks of Alborz range. 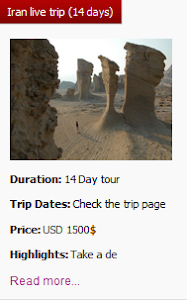 The most popular climbing route to the peak starts from Sarband Square and is about 17.3 kilometers (10.75 miles). On lower levels some coffee houses are available and a shelter is constructed on the altitude of 2850 for the climbers to take a rest. 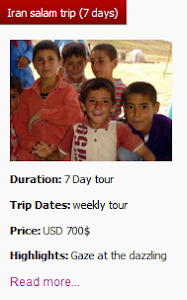 The breathtaking landscapes over other Alborz mountains make it worthy to trek for 6 hours. Tochal’s gondola is known as a very long one in the world with 7500 meters length. You can sit in a gondola cabin taking you up to the heights and enjoy the view of snowy lands and the people skiing. 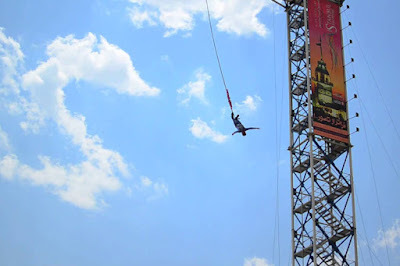 There are many more fun activities for you in Tochal complex, including playing tennis, archery and more exciting ones like Paintball, skating and even bungee jumping and zip lining! Spend a day or two in Tochal complex with standard facilities like restaurants and a cozy hotel and have lots of adventurous experiences among young Iranian people who are so fun and look forward to making new friends! 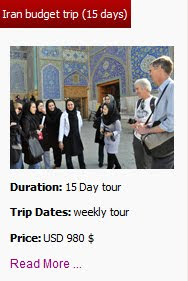 Check out here for more information about ski tours in Iran.